Sam's Club stores in Alaska are set to close this month, a company spokeswoman said Thursday. The closures are part of a nationwide shuttering of 63 Sam's Club locations, parent company Wal-Mart Stores Inc. said in a statement Thursday. Sam's Club is a membership-based chain owned and operated by Walmart and has three locations in Alaska. Delia Garcia, a Walmart spokeswoman, confirmed that all of those locations will have their last day of operations Jan. 26. Employees were notified Thursday. "We're actively managing our portfolio in Sam's just as we are in Walmart," Garcia said. "This is a decision we made based on what we need to do to maintain a healthy business going forward." Alaska's remote location was one part of the decision to close the stores here. "The cost of operating the clubs in Alaska is very high," Garcia said. "Because of the distance from our distribution hub, that was certainly a factor." The closures add uncertainty to a retail sector already forecast to lose jobs this year in Alaska. The three stores employ roughly 450 workers, and the news comes just a week after Sears said it would close its location in Midtown Anchorage. The company will look at opportunities to transfer Sam's Club employees to Walmart locations in Alaska, Garcia said. Sam's Club members can request a membership refund at any time. 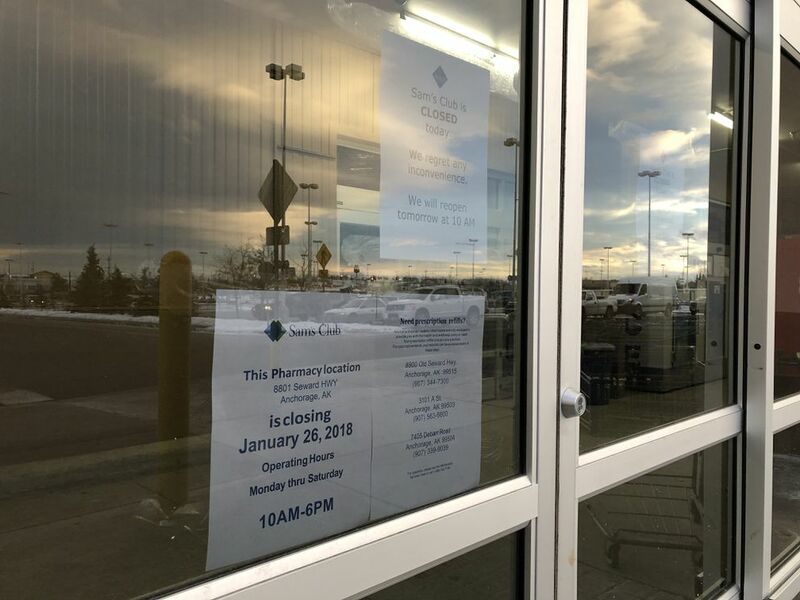 Jessica Buckner, an employee at the Sam's Club on Muldoon Road in Anchorage, said workers were notified Thursday morning about the closures but were not told why the stores would be shut. "They (gave) us the news so we can go mark everything down," she said. The stores were closed Thursday and plan to open again Friday with hours from 10 a.m. to 6 p.m. until they close permanently, Buckner said. 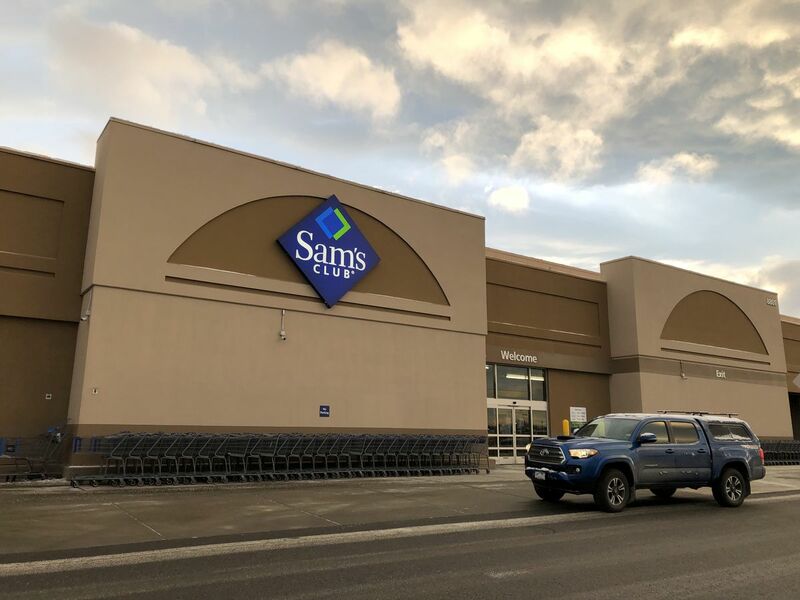 The Sam's Club locations in Alaska — two in Anchorage and one in Fairbanks — were not showing up on the company's website Thursday morning. About 176 people work at the East Anchorage store, Buckner said. On average, Garcia said, each Sam's Club location has about 150 employees. Workers will be paid for 60 more days starting Thursday, she said, and those who don't transfer to a Walmart store at the end of that time frame will receive severance. The company will convert up to 12 of the closing Sam's Club locations into e-commerce fulfillment centers, Walmart said in its statement. Garcia said the company doesn't know yet where all those centers will be.